Award winning global company, Oaxis, today announces the launch of its new children’s hybrid wrist phone, the WatchPhone. The WatchPhone is the first of its kind in the market, allowing children to keep in touch using the 3G network whilst keeping parents reassured of their child’s location with the built-in GPS location tracker. As well as giving parents piece of mind with the one-touch SOS Send a distress signal, the WatchPhone is great fun for children and with a built-in pedometer, emoji’s, text messaging and calls now at their fingertips. It’s sure to be an instant hit with kids and adults alike. The WatchPhone is designed for an interactive touch experience, making it enjoyable in any setting. Children can easily navigate on the 1.54″ high-resolution colour touch screen with precise accuracy and can enjoy a truly immersive experience on the high-resolution 320 x 320-pixel screen. The WatchPhone displays images which children love and which are incredibly life like. The WatchPhone is fully compatible with all pay as you go and pay monthly UK networks using a micro sim. With 3G data, voice memos or calls can be sent and received to any iOS or Android smartphone with a single push. It offers two-way communication anytime, anywhere and parents can be confident all location data is protected and accessible only to you and other authorised devices with a 128-bit encryption algorithm. In a fun, non-invasive way, parents can keep track of their children’s movements with the real-time GPS location tracking. It’s highly accurate GPS positioning system is fully integrated into the WatchPhone and reports the child’s position via the iOS or Android app. Parents have the additional comfort of Geo-Fenced safety zones and can highlight geo-locations on the map so when a child moves outside of this area, the nominated smartphone will be alerted. Children have also the reassurance of a one-touch SOS Send distress signal which can be activated via an integrated SOS button. Once activated, the nominated smartphone will receive information on the child’s location and a 30-second voice memo automatically recorded on the WatchPhone and children can be sure help is on its way. The WatchPhone is not just about safety, it is fun too! Kids love the cool, colourful designs and enjoy being able to call, voice message and send cute emoji’s to their parents, just like they see adults doing. Children will be sure to be challenged by the steps & calories tracking pedometer helping to infuse fun and ﬁtness to their everyday activities whilst also allowing parents to understand their child’s ﬁtness level and gently encourage further improvements. The WatchPhone is now available on Oaxis.com for a limited period at the special launch price of only £79.99 with free worldwide shipping. First 3G Children’s WatchPhone – The first 3G network of its kind. Communicate with children anytime, anywhere. Voice calls, text messages, and emoticons can be sent between Watchphone and any iOS or Android smartphone. Compatible with all UK networks using a micro sim. Full-colour Touch Screen – The Smart WatchPhone is designed for an interactive touch experience for children, making it enjoyable in any environment. Navigate easily on the 1.5″ high-resolution colour touch screen with precise accuracy. One-touch SOS, GPS & Geo Fencing – With real-time tracking, parents can set safety zones for children by highlighting GEO-locations on the map. For any danger situation, children simply press SOS button to get help. 60 hours long stay time – With 600mAh battery capacity, the WatchPhone battery will last around 60 hours. 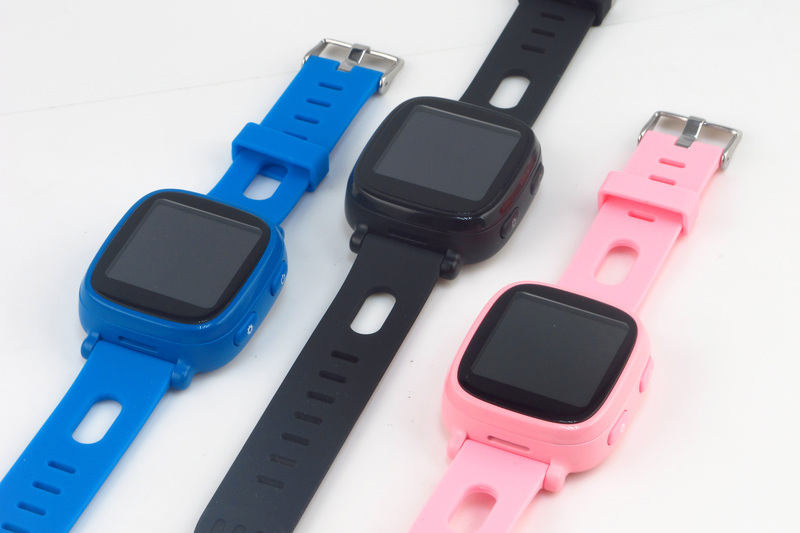 Classroom mode & Fitness tracking – The WatchPhone can be silenced during lessons at school, drowning out all notifications except for the SOS function. Full day pedometre tracking helps to infuse fun and fitness a child’s everyday activities. For more information about Oaxis, please visit www.oaxis.com, www.facebook.com/oaxis, and www.twitter.com/_oaxis.